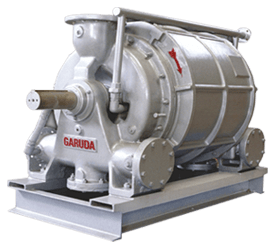 Water Ring Suppliers, Manufacturers of Vacuum Pumps, India, Ahmedabad - What is Water Ring Vacuum Pump ? 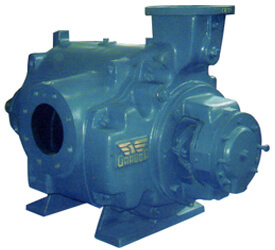 The Water Ring Vacuum Pump is a precise variety of rotary positive-displacement pump employing water as the chief component in the air compression. It can compress up to atmospheric pressure by means of water as the sealant liquid. In this type of pump, the components in motion do not contact each other mechanically, while water performs the role of a piston. 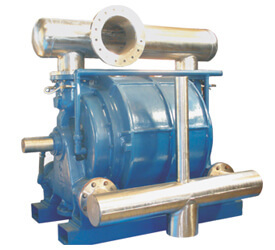 This type of pump is used in the industries for various applications such as Drying, Distillation, impregnation, venting, sterilization, degassing, evacuation etc.